Christian Pulisic projects to be the greatest soccer player in American history. The current holder of that title, for many, has had his say on Pulisic’s blockbuster transfer. Landon Donovan told the “Caught Offside” podcast he’s slightly concerned for the 20-year-old, who will join Chelsea this summer from Borussia Dortmund. It’s been a rough season for Pulisic with the Bundesliga leaders, with only one goal and two assists in 13 league appearances. 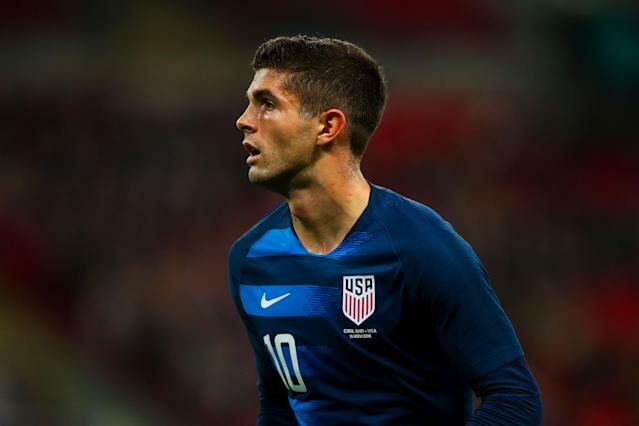 Pulisic has been in and out of the lineup since the transfer was revealed in early January, and the lack of playing time may hinder his growth this spring. He’ll need those qualities with Chelsea, which rarely lacks for talent and is one of the most high-profile clubs in the world. “From that standpoint it should be fine, but what happens if you go to Chelsea, who unfortunately for him have a two-window transfer ban, but have a bunch of other talented players and he doesn't get a chance to play?” Donovan said. Donovan has his own experience in this regard, having left then-German power Bayer Leverkusen in 2005 to return to Major League Soccer. He argued that not playing games at this stage in Pulisic’s career means he’s regressing. That said, Chelsea’s transfer ban could help Pulisic, as he’ll get chances to shine without the threat of any immediate replacements being brought in. Plus, Chelsea hands its players more power than arguably any other major club in the world. The current manager, Maurizio Sarri, likely isn’t long for Stamford Bridge, and Chelsea might want to target a hire that can succeed with the players he’ll be stuck with until summer 2020, a group that includes Pulisic. The move to London will be a challenge, for sure. But Pulisic will never know unless he tries.